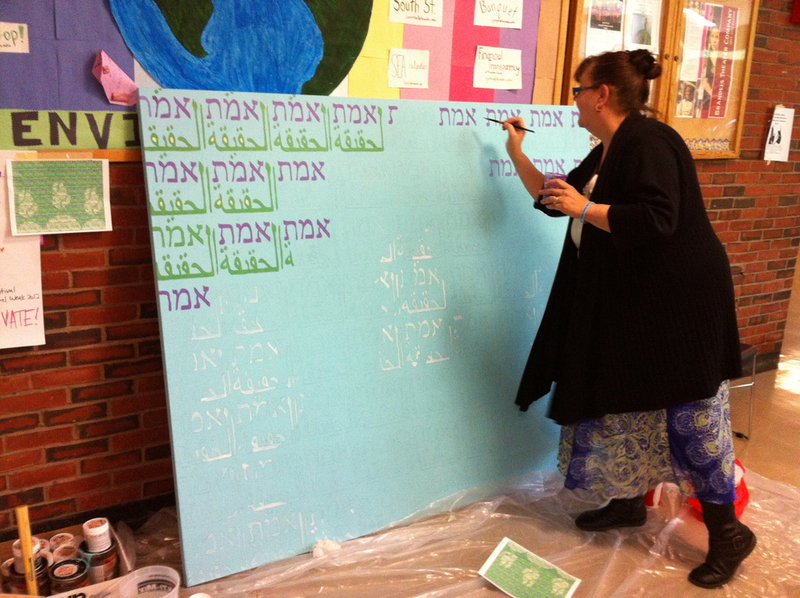 Led by Diana Gilon at Brandeis University, Acrylic Paint on canvas 60" x 72"
This painting was created as part of Brandeis’ annual festival of the Arts, “Activate Art” and as part of Hillel at Brandeis’ “Israel Week”. The painting consists of a pattern of the word Truth written in Hebrew (אמת - Emet) and in Arabic (- الحقيقة Alhakika). Emet is written on Brandeis University's seal and logo. Three flames are infused in the painting with white. These flames are also part of Brandeis’ seal. 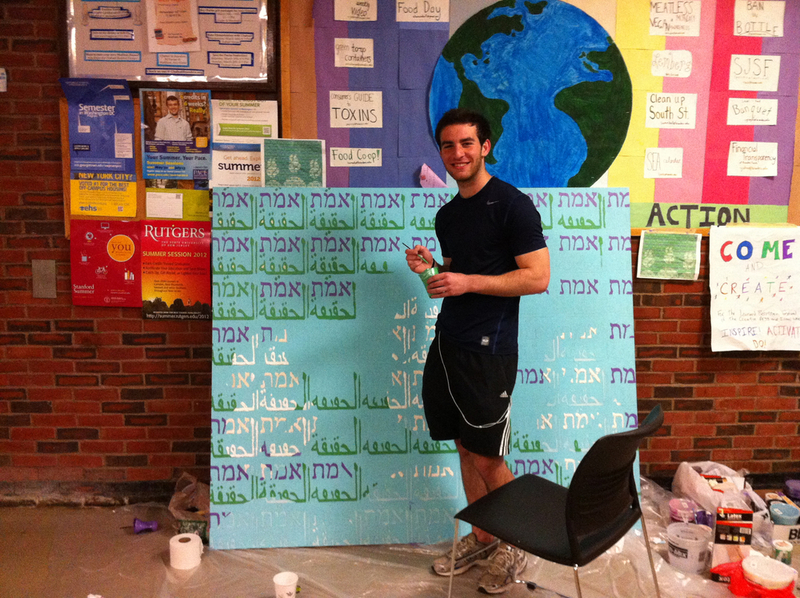 The word Truth written in both Arabic and Hebrew is a tribute to the diversity on the Brandeis campus as there are both Hebrew and Arabic speaking populations at Brandeis. Incorporating an element from the Brandeis seal in both languages is a way of artistically acknowledging the presence of both cultures and also celebrating the beauty that happens when they are combined together. The painting was created in the Usdan Student Center and in front of the Shapiro Campus Center with participation from a diverse range of students.